DAVID LE/Staff photo. 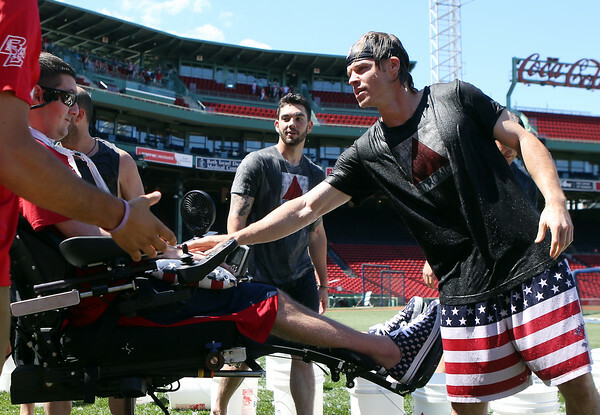 Boston Red Sox utility man and all-star selection Brock Holt, right, reaches out to touch the hand of Beverly native and Ice Bucket Challenge founder Pete Frates, after Frates and the Red Sox completed the Ice Bucket Challenge to kick off the month long initiative on Friday afternoon. 7/31/15.